promotional info in word format or pdf format. April 29th, 2011, just before opening for Els Amics de les Arts, three boys from Castellón decide that the world will be known as "TanStuPids" precisely as it is called one of his songs. "At first, -stupid-it was a stupid derogatory adjective spoke of the man who is surprised and ecstatic at the wonderful things of this world, then amazed and thought that showing feelings was not good for man and the word fell into derogatory meaning we like, because it reflects the passivity and stupidity of society to the problems we create a few". TanStuPids confess to having contacted through social networks, even if you knew the music scene in Castellón. JOAN VILLALONGA (piano, keyboards & vocals), DIEGO BARBERÀ (bass and vocals) and TICO PORCAR (drums, vocals), who came from previous experience, joined "to a different kind of music we had done and minds open for everyone to contribute what you seem more appropriate". The group has no objection to be defined as "ALTERNATIVE POP WITHOUT GUITARS". How could it be otherwise in these times, again internetcontacted TanStuPids with Flor y Nata Records, and the connection was instantaneous. The result is the debut album also called "TanStuPids". An EP-CD and first release of five songs. The album is a team which can listen to powerful bass lines, sometimes clean and other distorted vocals and piano games that pass the delicacy to uncontrolled controlled, solid battery but rich in nuances and compositions that go through many styles that are difficult to define. 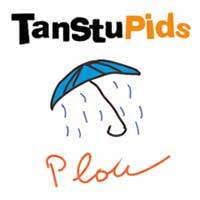 And, if the band is called TanStuPids and TanStuPids is the name of the album, the first hit single is called ...as too "Tan Stúpids", a song that satirizes about consum society and where the three components sing the verses of the song. A hymn against more rampant consumerism. Influencies: Ben Folds, Jamie Cullum, Randy Newman, Travis, Led Zeppelin, the earlier Elthon John, Brian Wilson, Crowed House, Jaco Pastorius & ..... Maria Jesús y su Acordeón.